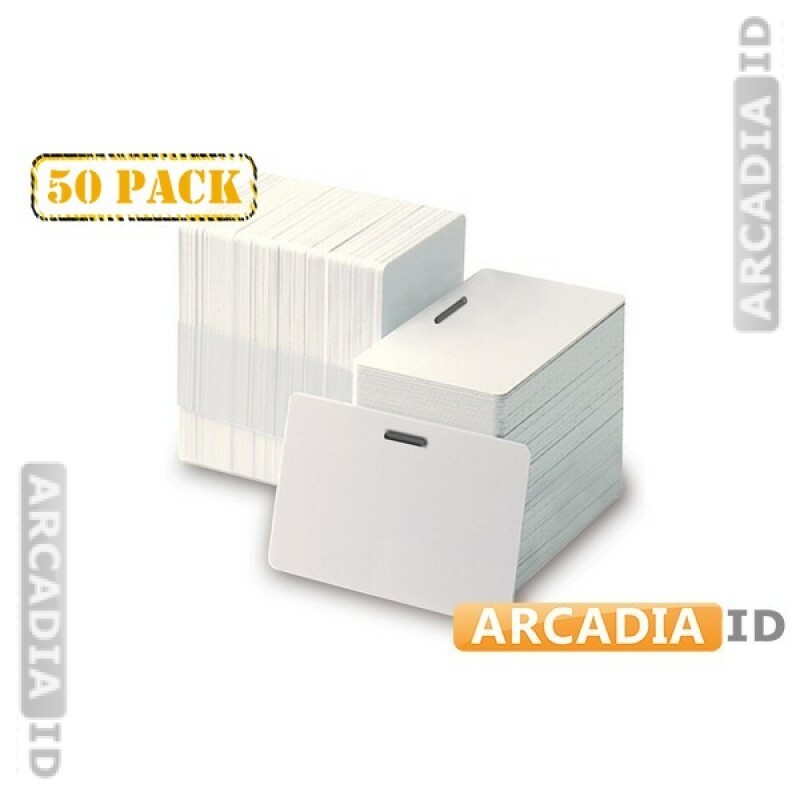 Order 50 packs of blank ID cards and save money. These are horizontal cards with a slot punched in the top so that they can be easily hung around your neck or attached to a belt. Great quality materials and excellent savings by buying in bulk. 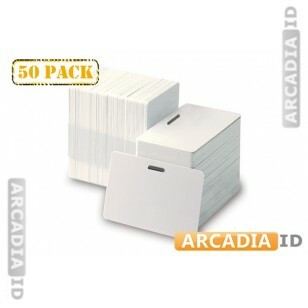 For the full range of great photo ID card materials for low prices be sure to take a look around the other items. Rapid delivery on all our products.